Get ready to glow! This vibrant mud mask was launched in May 2018. 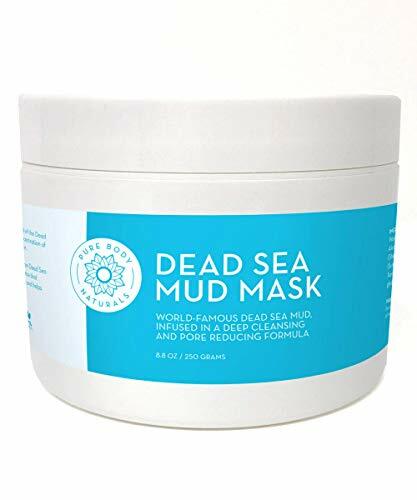 It is a much-improved version of our bestselling Dead Sea Mud Mask. It's formulated from the freshest, most premium ingredients and it's better for you! We believe that we have created the perfect vessel for delivering the power of Dead Sea Mud. Our new Premium Dead Sea Mud Mask is full of dead sea mud, bentonite clay, charcoal, citric acid and shea butter to brighten and nourish your complexion. These powerhouse ingredients break down dry skin that you'll polish away to reveal the naturally glowing, smooth skin beneath. The result? Skin that looks lit from within. Smooth this one all over your body to feel soft, clean and wonderful.